ScoreStream offers you a number of tools to help you become the prep sports leader in your market. You can find them all in our Promotion Playbook and Game Coverage Examples. Our most popular and engaging is the “Promo Maker” for promoting big games. CLICK HERE to go straight to the tool, or see below for a quick tutorial. 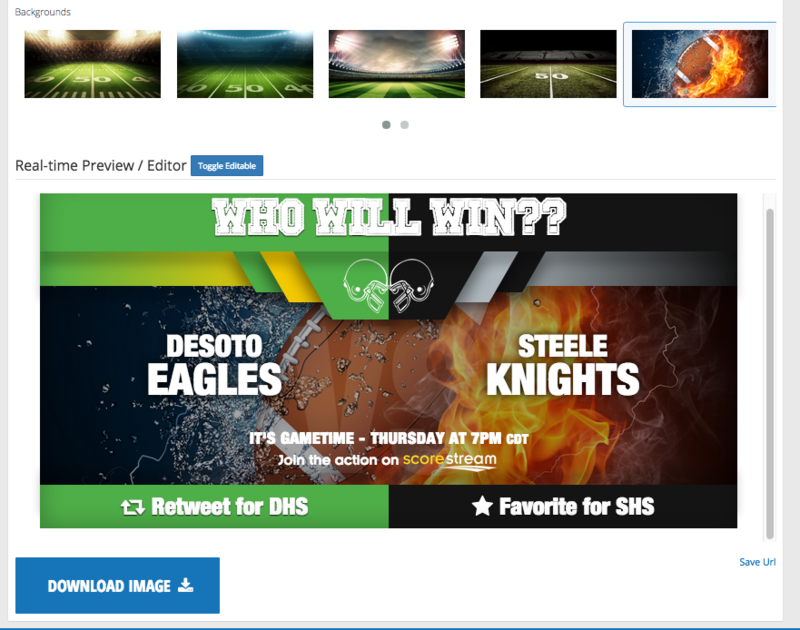 Then just tweet your graphic, remind folks to get real-time scores on your site from @ScoreStream and watch the engagement fly. 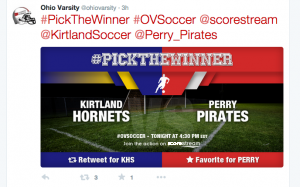 Using the ScoreStream Promo Maker is very quick and easy! 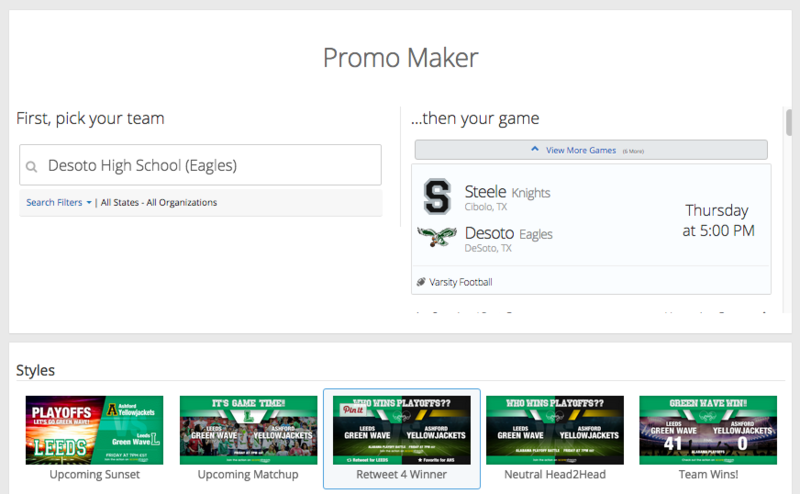 Go to your dashboard, click “Tools” and then “Promo Maker.” Or just go to any upcoming game on ScoreStream.com and click on the “Promo Maker” on the right hand side. You will see several layout choices. We recommend selecting the “Retweet for Winner” template, which calls on fans to retweet or favorite depending on who they think will win. Next select from the background images and download your custom graphic. Then just post to twitter and let the fans do the rest. 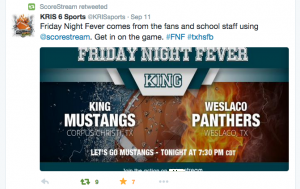 Don’t forget to mention @ScoreStream so we can help promote your tweets! 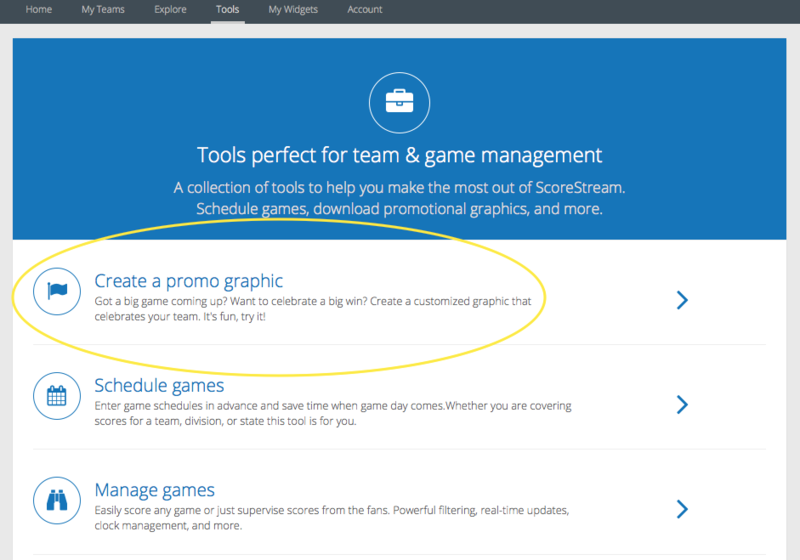 Head over to your tools in your dashboard and find the big game you want to create a graphic for! Since coach Gary McKnight began his career at Mater Dei he has set a a precedence of excellence. This has led McKnight and his Monarch teams to a 983-85 record over his 32 years. That 92% winning percentage is the highest of any high school boys’ basketball coaches! 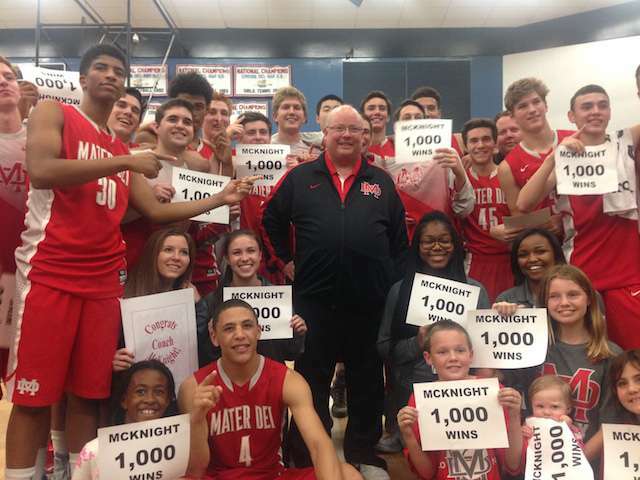 In honor of coach McKnight’s 1,000th win, Fox Sports West wrote a dedication to him becoming the first California high school basketball coach to reach that point! As part of our effort to ensure users have the best high school sports coverage, we are sharing articles from the media partners who use ScoreStream for their local youth sports coverage. Make sure to follow all of our partners as they provide the most in-depth, exciting coverage for high school sports. Follow WQAD8 (Twitter- @TheScoreWQAD) as they provide the best high school sports coverage for the Quad Cities area. 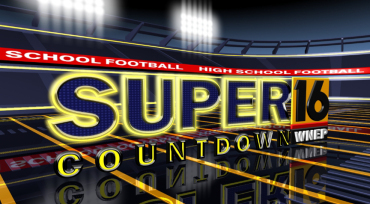 Each week WQAD8 and Steyer Seeds team up to bring the top high school football performers in the Quad Cities area. Check out the performances and vote for your favorite here!